Did anyone catch the season premiere? I found it super underwhelming for, #1, the amount of time it's been since season 6, and #2, the fact that they only have like 6 more episodes this season. All of the characters moved exactly one inch from the beginning of the episode to the end. And we got an Ed Sheeran cameo. I enjoyed it. I honestly didn't expect a whole lot because obviously they are building up to a few major things. Starting the show with Araya killing the Freys was cool. The white walkers scene was quite ominous. I like the fact that that they caught up with everybody pretty much. The dead giants walking amongst them. The callback for the Hound to the father and daughter Arya had wanted to help. Plus, she only killed off the male Freys. Heh! What will be the result, though, for the women? I thought it was a great episode probably the best season premiere yet, imo. It was posted last November and, now with episode 3 done, appears to be completely accurate so far. Not interested in spoilers, but as someone on another board said, Ep 4 was the fastest almost-an-hour on TV. Gripping. What'd you folks think about the finale? I loved it. The ice dragon sure made short work out of the wall. I can't wait for the new season. It just keeps getting better and better. I enjoyed it, I enjoyed the entire season. Every episode this season felt more like outlines than episodes as we've known them... but it was still pretty damn good. Well, you have to remember that seasons 1-5 were based on books while seasons 6 and 7 have been based on notes of story beats that need to happen, but without the precise direction for the how they should happen. 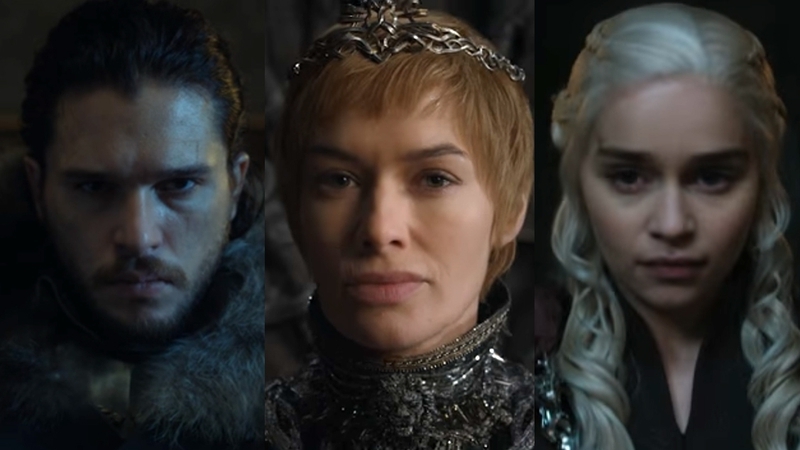 Its also important to note that with some of the choices they've made while adapting the books, even GRRM has said the show can't actually do these things correctly as some characters are dead in the show who are alive in the books, while others are in completely different scenarios, and others still don't even exist in the show... so yeah... the kind of details that earlier episodes had to follow simply aren't there for the showrunners anymore, so they just have to make do with what little info they have been given. Given these circumstances, I think they've probably done as good a job as anyone could probably hope to. Like you said, it's been damn good. Is it unfortunate that we don't have the books yet to get something more detailed? Yeah, but I'd rather they finish it with the notes they have than put a hold on the show for the eight plus years it will likely take GRRM to finish the last two books (assuming his planned trilogy doesn't continue to grow even longer). What I don't understand, unless it is a budgetary issue, is the need to compress these seasons down so much. It can't be that there's not enough material... there was plenty of stuff in the 8 episodes this season that I would have loved to have seen stretched out rather than rushed/compressed. I can think of a few reasons. If they have reached the end of the published book series, they have run beyond most of the material that flesh out the books. The series is taking more real time than the events, so will end up with actors far older than the characters they portray. No time like the present! Sign up for HBO Now and binge it. There's only 67 episodes, so far, and it's one you'll want to keep watching episode after episode, so if you don't get distracted by all the movies and other shows available on HBO Now, you could easily get through it all in your first month, which I actually think is given to you as a free trial. ... geeze, I sound like a freaking commercial. I dunno... I personally found the first season a little tedious to get through and maybe a little bit of the second. HBO recently did a marathon. Wish I had known about it sooner cuz I would have started over at the beginning. I think I missed a lot of stuff the first time around especially since I've never read any of the books. I discovered the recent marathon on episode three. I still haven't seen the first two episodes. It was an interesting way to spend the holidays. I think I should rewatch them again in preparation but damn... that was a lot to get through.